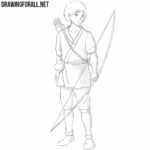 One of our favorite themes of drawing lessons is anime, and we are trying to create as many new and interesting lessons on this subject as possible. 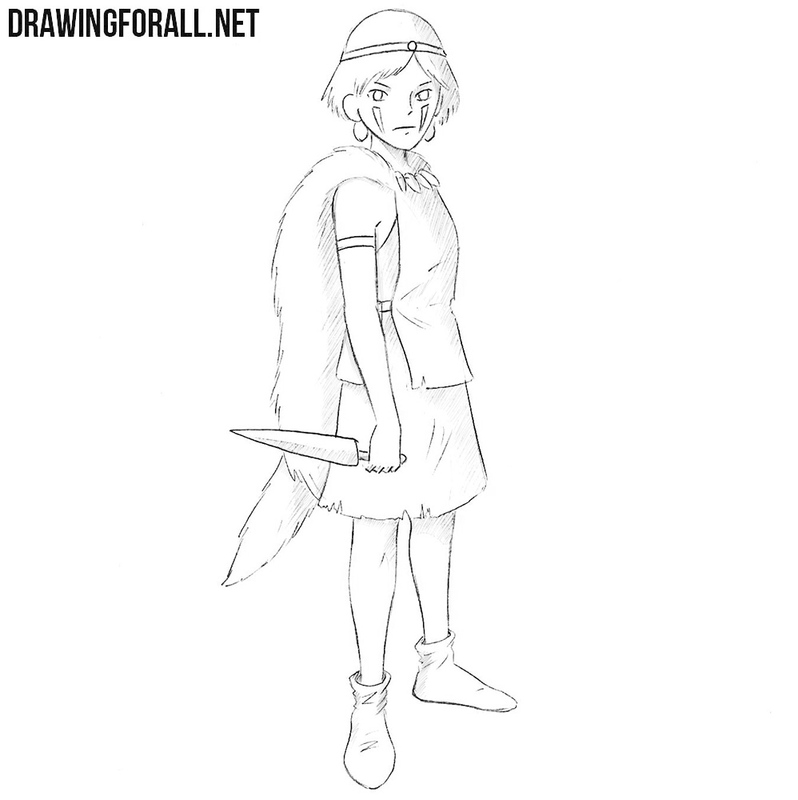 Today we want to show you how to draw Princess Mononoke – one of the main characters of the same name anime. 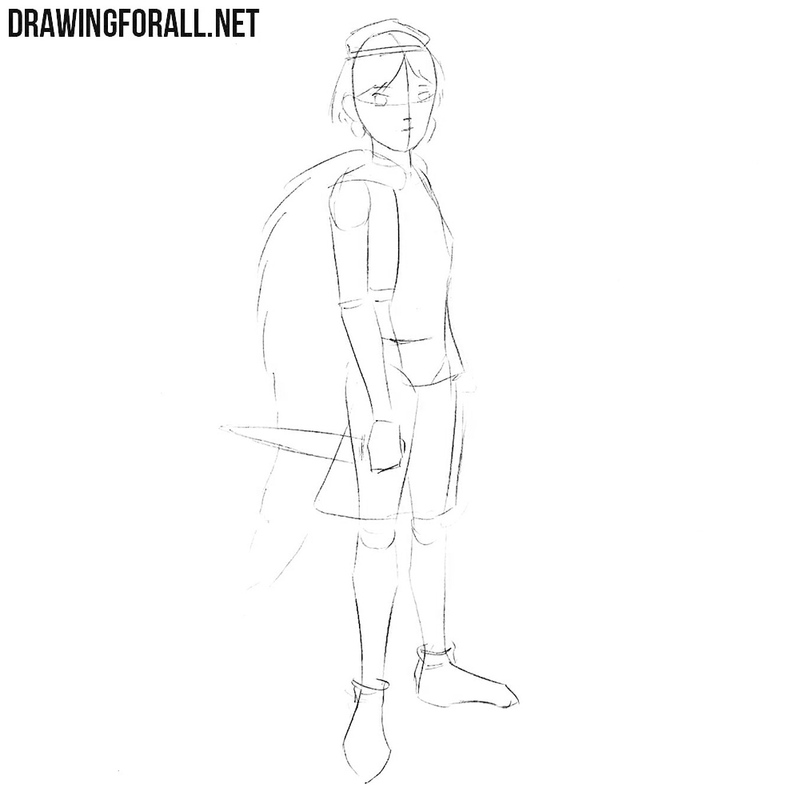 Let’s start drawing Princess Mononoke from the skeleton. 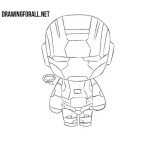 First, we outline an oval for the head and a simple line for the spine. On this line we sketch out the chest and the pelvis. 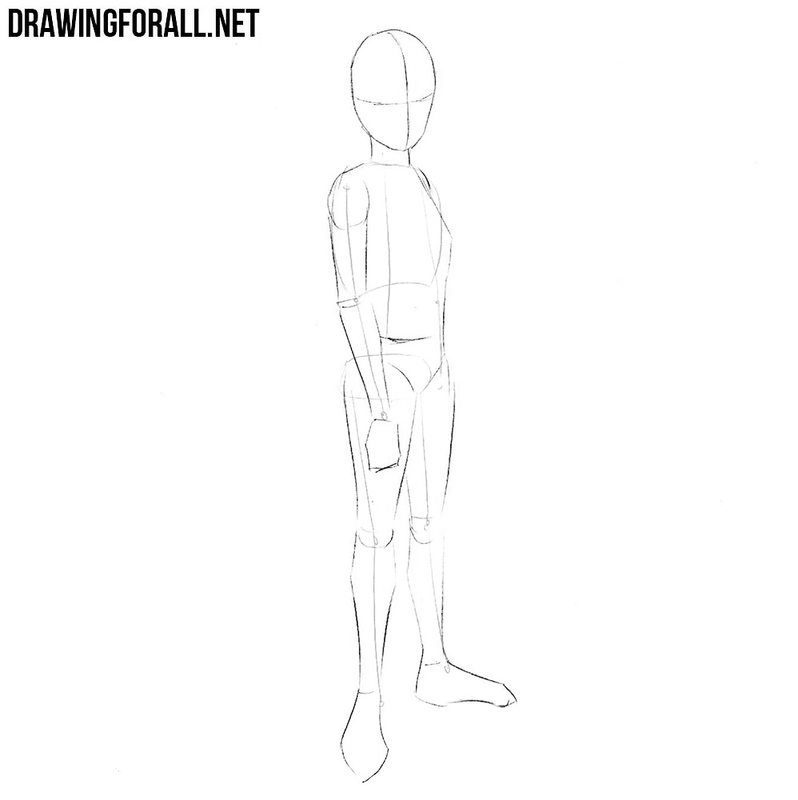 With simple lines, we draw the arms and legs. 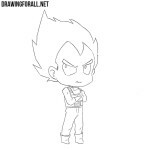 By the way, in order not to get confused in proportions, visit the lesson on how to draw a man. Let’s now add volume to the drawing of Princess Mononoke. But first, we draw two lines to further simplify the drawing of facial features. Next we sketch out the neck and torso outlines. With the help of simple geometric figures we outline the contours of the arms and legs of Princess Mononoke. Now we need to draw the most basic details of the drawing. Using very light lines, we sketch out the details of the face and hair of Princess Mononoke. 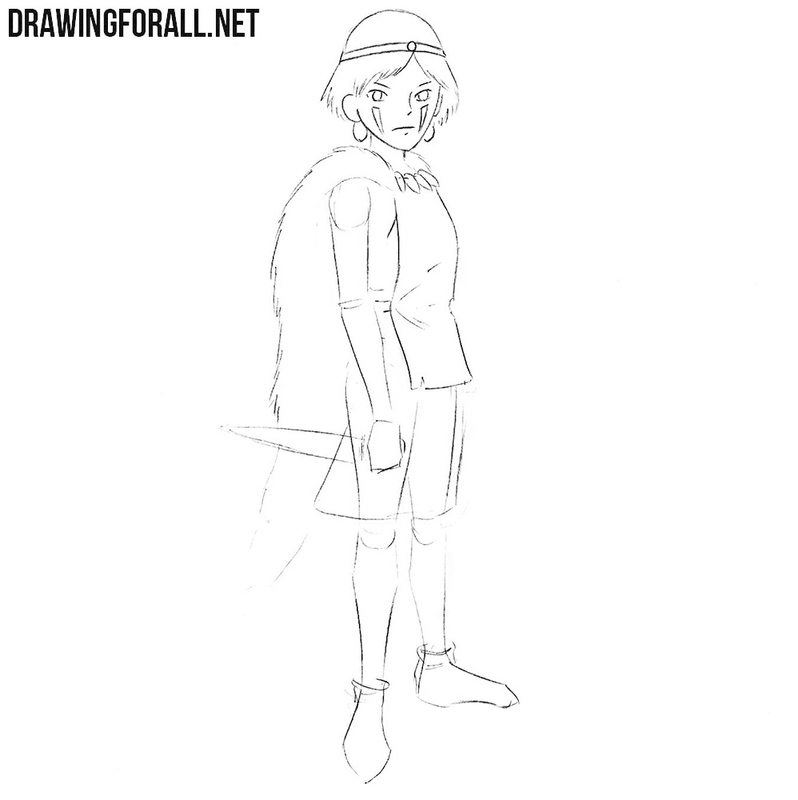 Next, go to the body, sketching the outlines of clothes and a dagger in the hand. Starting with the next step, we will use dark and contrast lines. 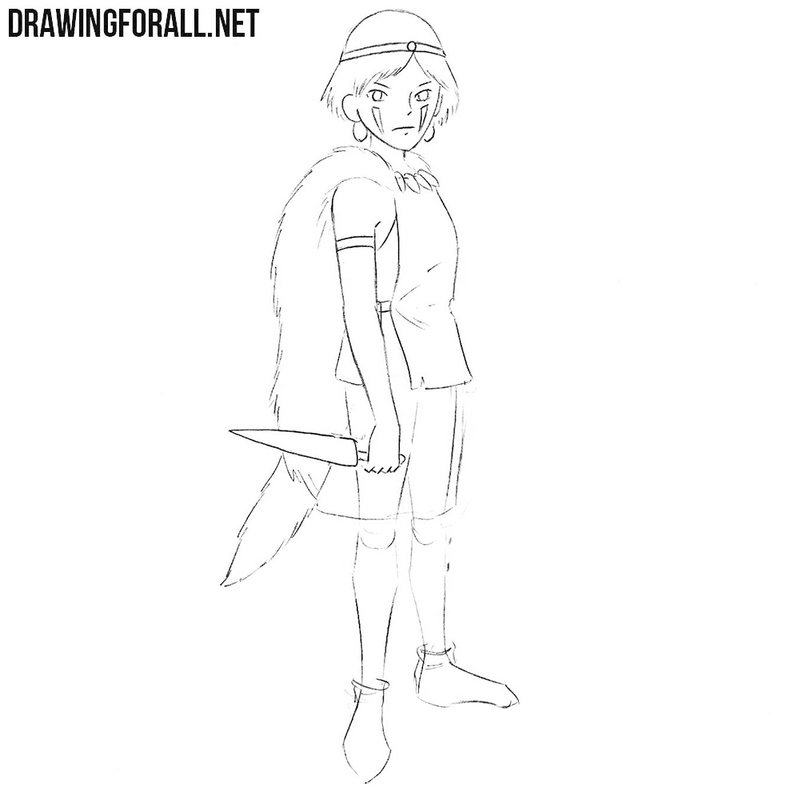 Let’s let’s work with the final details of the drawing of Princess Mononoke. 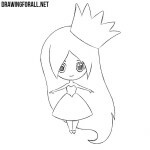 Let’s start with the head, gently drawing the outlines of the eyes, nose and mouth. 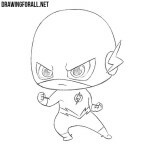 Next, draw the outline of a narrowing down face, ears and hair. Delete all the unnecessary guidelines from the Princess Mononoke drawing. This step will be very simple, as there will be very few lines. At first we sketch out the outlines of the neck. Next we draw the outlines of the torso, taking into account all the curves of the body under the clothing. In the same step, we outline the fur behind the back and the necklace around the neck. This step of the lesson on how to draw Princess Mononoke will be even easier than the previous one. Accurately draw the outlines of the visible arm, in which the sharp dagger is clamped. Remove unnecessary guidelines from the arms of San and proceed to step number seven. Continuing the lines of the torso gently draw out the outlines of the skirt. Next, with the help of smooth lines draw the legs and shoes. Add the necessary folds to the surface of the shoes and remove all unnecessary guidelines from the Princess Mononoke drawing. The shadows in the drawing lesson about how to draw Princess Mononoke will be made in a very traditional anime style. This means that the shadows will be applied using dense hatching, which are applied in areas of the body with the least lighting. 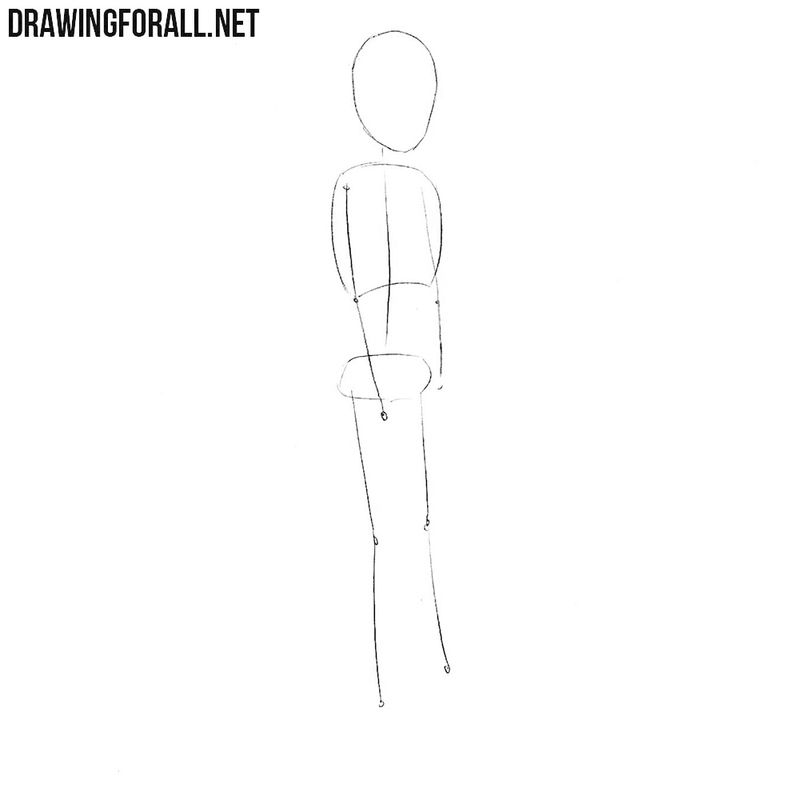 This lesson was one of the drawing tutorials from the Anime section on the DrawingForAll website. 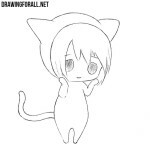 Visit this category to learn how to draw other characters from anime and manga.